1 Create a FREE account. 2 Sign in with your user. 3 Follow the guided tutorial. If you still have problems, please let us know, by sending an email to info@theconstructsim.com . Thank you! Learn how to create real world applications for a real robot. 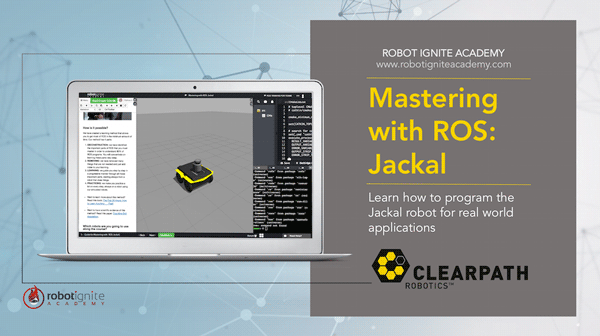 In this course you will learn all you need to operate and use the JAckal robot platform from ClearPath in the real world. You will learn it through hands on experience with a simulated version of the real robot which will have the same exact interface as the real one, thanks to ROS infrastructure. I have finished, now what? © 2019 The Construct. All rights reserved.